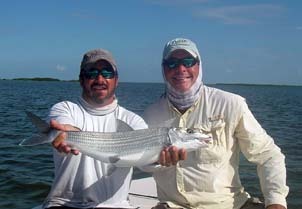 September is Grand Slam month in the Florida Keys! Fall is my favorite time of year to flats fish the Florida Keys! It is off season...Not many tourists in the Keys this time of year. Most destination anglers are fishing for trout in the west or occupied with hunting season.. 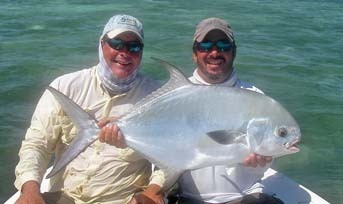 The flats are deserted, except for out of work fishing guides, the occasional tailing permit, schools of bones and rolling juvenile tarpon.. Some days we do not see another skiff. Fished with my guide buddies Derrin and Bob yesterday. Check out the video... Last Weekend.